Argentine Striker Keen On Move To Chelsea But…. With the January transfer window almost upon us, speculation linking Gonzalo Higuain with a move to Stamford Bridge is still gathering momentum. In recent games, Maurizio Sarri has preferred to utilise Eden Hazard as a false number nine, as opposed to selecting either Alvaro Morata or Olivier Giroud. Some see this as an indication that Maurizio Sarri has given up on the idea of either the Frenchman or the Spaniard being the person to lead the front-line. But, is Gonzalo Higuain the man to do just that? At 31-years-of-age, there is the possibility that the Argentine has already passed his peak and the big question remains as to whether the ageing gunslinger has enough bullets left to make his mark in the Premier League. 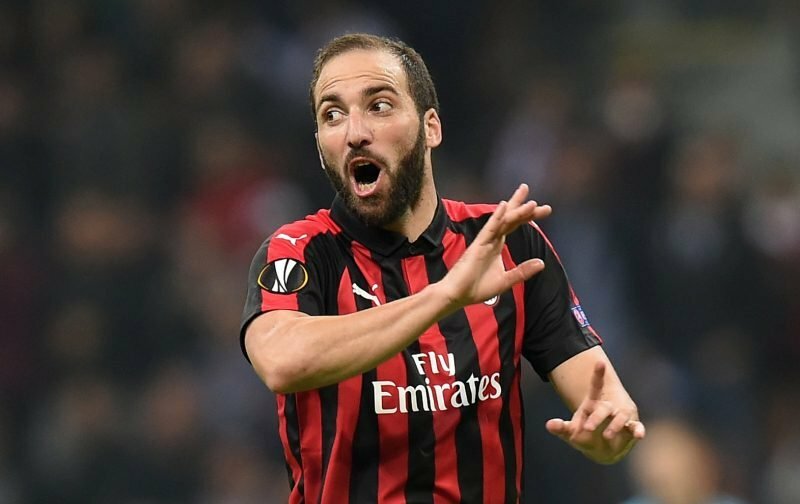 According to the Italian news source, Sportmediaset, Higuain is said to be keen on the move and his club, Juventus, are willing to cut-short the players’ loan spell at AC Milan, in order to do a deal with Chelsea. But I have my doubts as to whether this is a decent move or one last throw of the dice, although, perhaps, Maurizio Sarri sees a bargain here having witnessed what Higuain can do in Italian football. Do you see it as a viable transfer or is it a big risk Chelsea should avoid? Or, perhaps, you are of the opinion Chelsea should make a move for someone else. Please feel free to drop your views into the comment facility, beneath this article and we’ll try to get a debate going. Higuian has nothing left in him to offer Chelsea. Chelsea should go for Icardi or Wilson preferably. Great signing will be looking forward to Gonzalo super 9???????????????????? Chelsea should look for another strike like Kane at Tottenham fc or else way not AC Milan striker Hiuguan which had expired in age. Look for a striker like Kane? Higuain would be a good option for a 6 months loan deal. Let’s give Sarri what he wants since its not going to cost us much. If he turns out to be very very good, we can renegotiate with Juve for another year or if he is out of contract with Juve, offer him a one year deal with an option of another year. Gonzalo for 6 month is OK.
it is obvious that Gonzalo has been a prolific striker during his first season spell at Napoli under the current Chelsea boss Marizuo Sarrie scoring 36 goals in 35 appearance before moving to the Seria A giants (juventus) and later move to AC Milan on a season long loan. But he has failed to find the net on a regular basis this season. Gonzalo 31, Is not getting any younger and with my opinion, Chelsea should have go in search for a young talented Striker who will be a long time replacement of Diego Costa. Chelsea should for players like;Culum Wilson, Piatek instead.